Credit Cards are used for various purposes. Cardholders use these for cashless transactions, to earn reward points on their spending, and enjoy special deals. These cards are accepted widely across the world. Furthermore, the cardholders are able to avail of pre-approved loans within the overall credit limit available on their cards. These funds are repaid at a later date and the users are charged interest at a pre-determined rate. As these types of loans are unsecured (without providing any collateral), the issuers offer them only to certain users. 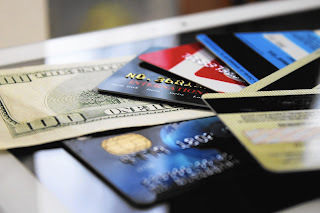 A credit card is often available to individuals who have an impeccable borrowing and repayment history thereby reducing the risks for the card issuers. Although different banks provide distinct and comprehensive personal loans on credit cards, here are some common features of these financial products. Since these loans are pre-approved based on the overall credit limit, past payment records, and accumulated reward points, the cardholders do not need to provide additional documentation while availing of these loans. This makes it convenient for users to access funds. The cardholders have the option of repaying the loan amount through equated monthly installments (EMIs). This enables them to purchase expensive products in an affordable manner without facing any financial constraints. Somecard issuers provide loan against credit card held from another credit card issuer. This facility is available through a balance transfer mechanism whereby outstanding balance on the credit card/s is transferred to a single card from the new service provider. The users repay this amount through EMIs. Most of the times, the quantum or the amount of the loan depends on the overall credit card limit. Some card issuers may offer loans exceeding this limit where the borrowed amount is not blocked against the credit card limit. Cardholders are easily able to convert their purchases to a loan, which is repayable through EMIs. The procedure to avail of personal loans on credit card points are quick and simple. This is primarily because the loan is pre-approved and does not require submission of additional documents. It is common for people to use multiple credit cards offered by various issuers. With this type of facility, users are able to consolidate the outstanding on all their cards under one single credit card. Keeping track of the spending and usage of a single card is simpler for the users. Compared to most other types of loans, these funds are disbursed quickly. This is because the amount is pre-approved requiring no documentation, which makes the entire procedure quicker. Availing of loans on the credit card is a convenient option for users. Furthermore, they do not have to provide post-dated cheques (PDCs) towards the loan repayment.Also, these types of loans do not require the users to provide any guarantor. A common misconception is that these loans are expensive because the interest rates are high. However, the fact is that the interest rates on personal loans are low, which makes it affordable for users to choose these financial products. The loans on credit cards are flexible, which makes it convenient for the users. They may choose to repay the EMIs in a schedule that does not cause any financial difficulties to them. Furthermore, there are no restrictions on how this money is used, which offers additional versatility to the users.